Mrs. Wambui Kosgey is a Strategic Legal Adviser. She holds a Bachelor of Law – LLB from Cardiff University and Master of Business Administration – MBA in Business Administration and Management, from Strathmore Business School (SBS). Graduate of SBS Women Directors Leadership program. She previously worked as Head of Legal at CFC Group. She was the Associate Director for CFC Financial Services and Regional Manager, Investment Banking Division EA for Standard Bank. 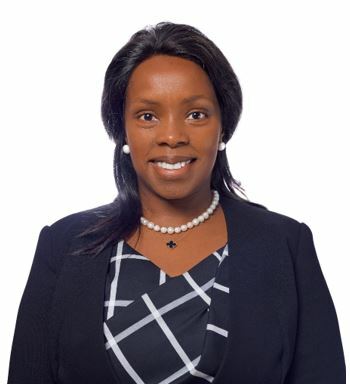 She was until recently the Eastern African region for Diageo subsidiary in East Africa and East Africa Breweries Limited, as the Group Legal Director.